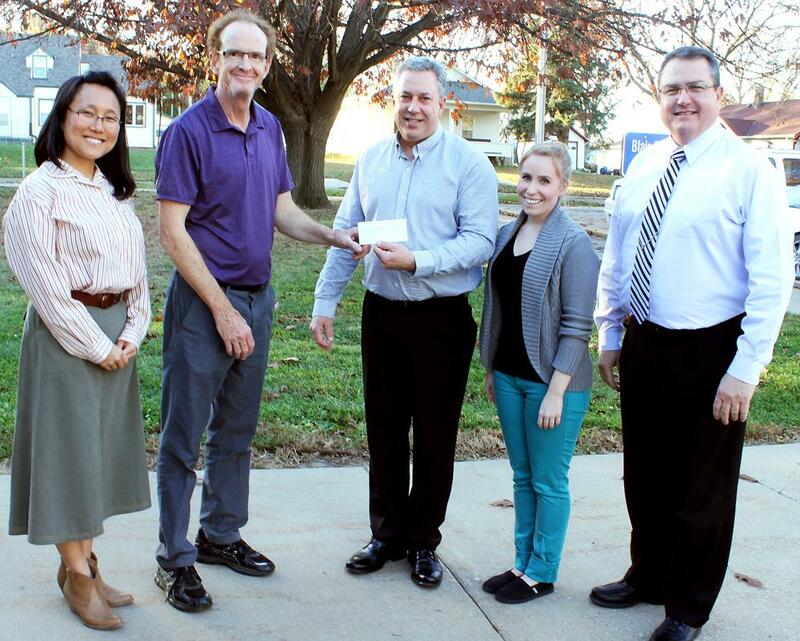 Rotary Club of Blair donated $4,000 in proceeds from its tailgate fundraiser Oct. 8 to Blair Community Schools. It will be earmarked for instrumental music. Pictured from left: Chiyo Trauernicht, Otte Blair Middle School band director; Jeff Mount, Blair High School band director; Jim Nelson, Rotary; Courtney Baker, instrumental instructor, OBMS and Arbor Park Intermediate School; and Supt. Rex Pfeil.